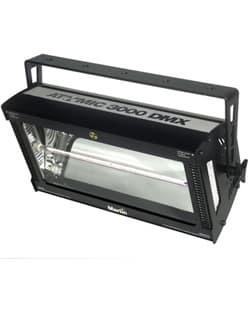 The Atomic 3000 DMX is a powerful and rugged, 3000 W high-impact strobe. Tech Specs Physical Length: 425 mm (16.7 in.) without bracket Width: 245 mm (9.6 in.) 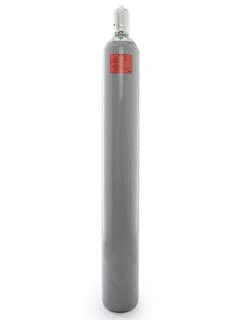 without bracket Height: 240 mm (9.4 in.) without bracket Weight: 7.5 kg (16.5 lbs.) 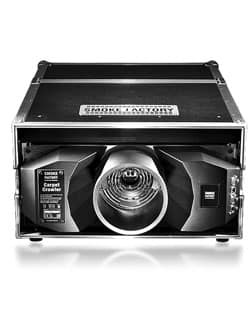 without bracket Dynamic Effects Variable strobe: 0 - 650 ms (50 Hz supply), or 0 - 530 ms (60 Hz supply) Strobe rate: 0 - 25 flashes/second (50 Hz supply), 0 - 30 flashes/second (60 Hz supply) Blinder effect: Continuous with auto fade Strobe intensity: Blackout - maximum Special effects: Ramp up, ramp down, ramp up-down, random flash, lightning, spikes, blinder, single flash Control and Programming Control options: DMX, stand-alone, multi-fixture chase (with Detonator remote), MC-1 DMX channels: 1, 3, and 4 channel modes Stand-alone control: Via N.O. 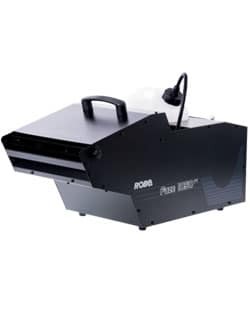 or N.C. SPST switch Stand-alone options: Selectable flash rate or blinder effect Setting and addressing: DIP switch DMX Compliance: USITT DMX512/1990 Receiver: RS-485 Lamp Type: Xenon discharge Approved lamps: MAX-15 Xenon (200-240 V power), MAX-7 Xenon (100-120 V power) Construction Housing: Steel Finish: Electrostatic powder-coated Color: Black Installation Minimum distance to combustible materials: 0.5 m (1.7 ft.) Minimum distance to illuminated surfaces: 1 m (3.3 ft.) Minimum clearance around fan and air vents: 0.1 m (0.4 ft.) Orientation: Any Mounting points: Five 12 mm (0.5 in.) 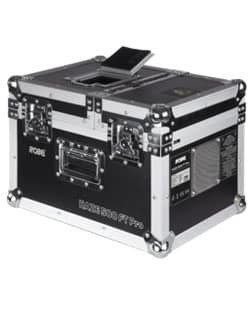 holes in mounting bracket Connections Power connection: 1.5 m (4.9 ft.) cable tail, 14 AWG DMX data in/out: 3-pin and 5-pin XLR sockets Electrical AC power (MAX-7 model): 100-120 V nominal, 50/60 Hz AC power (MAX-15 model): 200-240 V nominal, 50/60 Hz Peak current consumption: 33 A Typical current consumption (MAX-15, high power mode): 8 A Main fuse (all AC power voltages): 20 AT (slow blow), 250 V Power supply unit: Auto-ranging electronic switch-mode AC mains power cable: 14 AWG or 2.5mm2 Thermal Maximum ambient temperature (Ta max. ): 40° C (104° F) Minimum ambient temperature (Ta min. 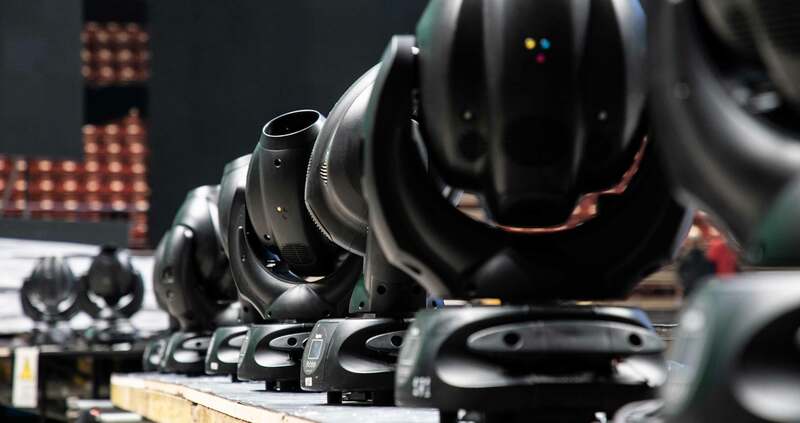 ): 5° C (41° F) Maximum lamp socket temperature: 120° C (248° F) Approvals EU safety: EN 60598-1, EN 60598-2-17 EU EMC: EN 50 081-1, EN 50 082-1 US safety: ANSI/UL 1573 Canadian safety: CSA C22.2 No. 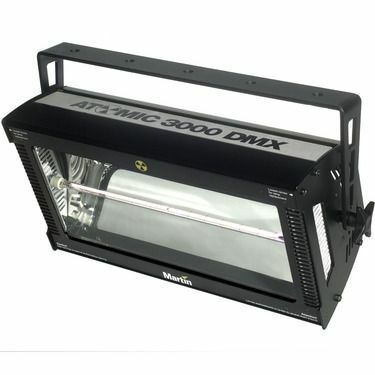 166 CE ETL C US Intertek Included Items MAX-15 Xenon lamp (installed, EU model): P/N 97010307 MAX-7 Xenon lamp (installed, US model): P/N 97010308 User manual: P/N 35000094 Accessories Atomic Detonator: P/N 90760020 Atomic Colors for Atomic 3000: P/N 91611086 G-clamp: P/N 91602003 Half-coupler clamp: P/N 91602005 Spare Parts MAX-15 lamp for use with 200-240 V power: P/N 97010307 MAX-7 lamp for use with 100-120 V power: P/N 97010308 Main fuse (20 AT): P/N 05020040 Ordering Information Atomic 3000 DMX EU model (MAX-15 lamp, 200-240 V): P/N 90424200 Atomic 3000 DMX US model (MAX-7 lamp, 100-120 V): P/N 90424300 AMG International è il leader nel settore rental di materiale audiovisivo. Con sedi a Roma e Milano lavoriamo su tutto il territorio nazionale.